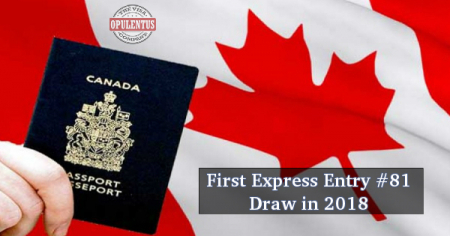 Canada immigration had its latest Express Entry Draw for the year 2018; however, they have followed the same trend of score compared to its previous draw in the year 2017. In December 2017, the last draw took place with the required CRS score of 446 inviting 2,750 candidates. This year the first draw commenced on 10th January 2018 inviting 2750 candidates with the same score of 446, is quite surprising. As Canadian immigration is following the Tie-Break rule starting from 18th November 2017, considering this, the candidates with a high score are made to wait in the pool considering their submission date. The next draw is expected to happen on 24th January 2018, everyone is eager to know if Canada will be continuing its current trend or will decrease the required CRS score. As per the report released by the Canadian Immigration, target immigration Canada this year is high and taking this into consideration one can expect the score to come down drastically to meet the current requirements. To find out if you are eligible to migrate Canada permanently, Email us at [email protected] or call us 7207111222. One of our experts will meet your expectations and provide answers to queries.